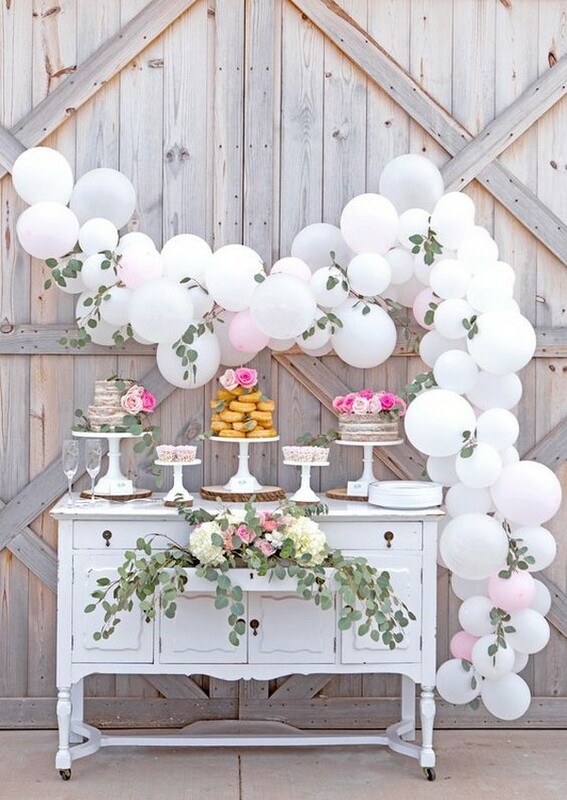 Balloons are such a simple and inexpensive decoration, they are fun and whimsical, and just scream party time! 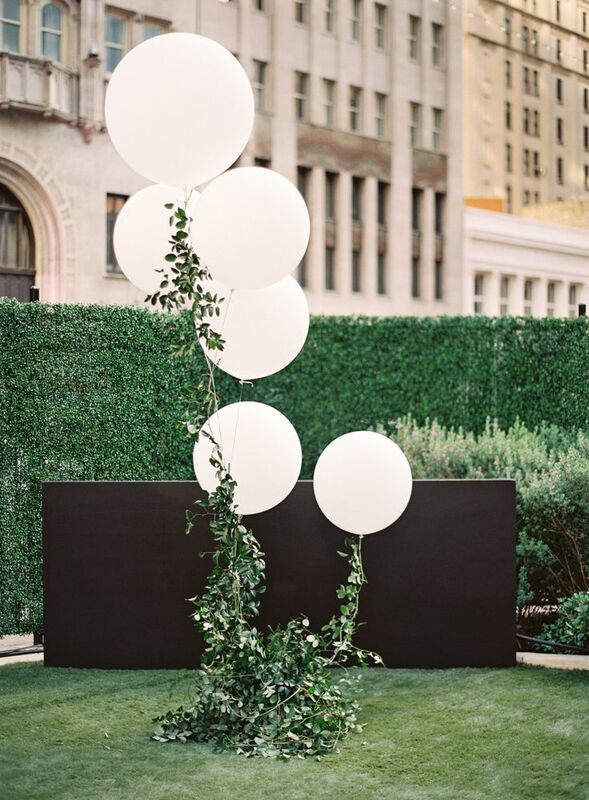 We have seen fun wedding balloon ideas used in everything from fun backdrops to ceremony aisle decor, and from reception decor to wedding photos. 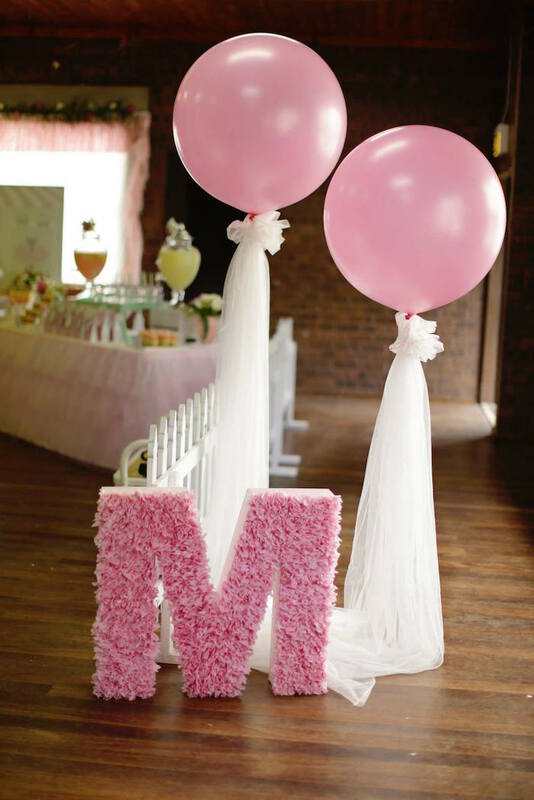 There are many ways to rock balloons on your big day, let’s have a look at some of them. Get ready to be inspired! 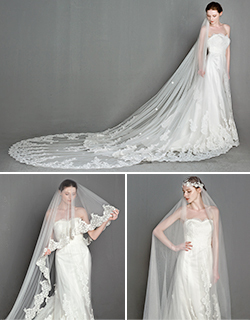 Balloons may be used for creating stunning wedding arches and backdrops. 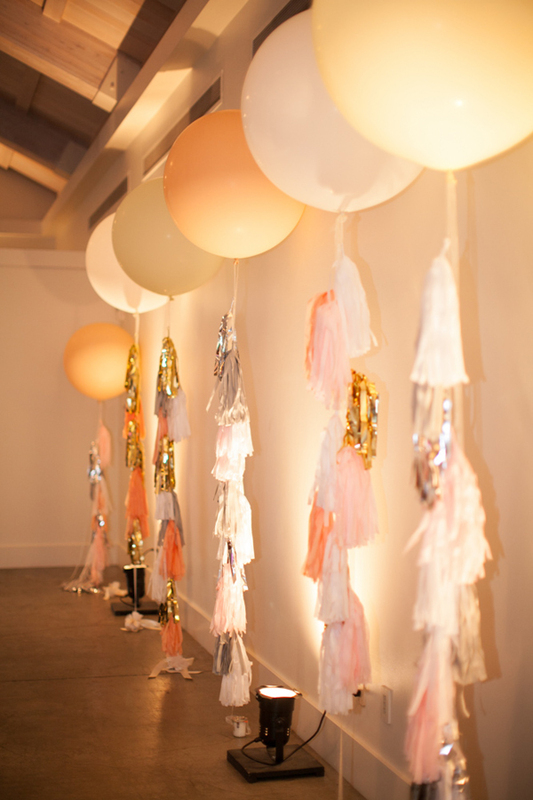 Use lots of balloons to cover the whole wall, and a dreamy backdrop is ready. 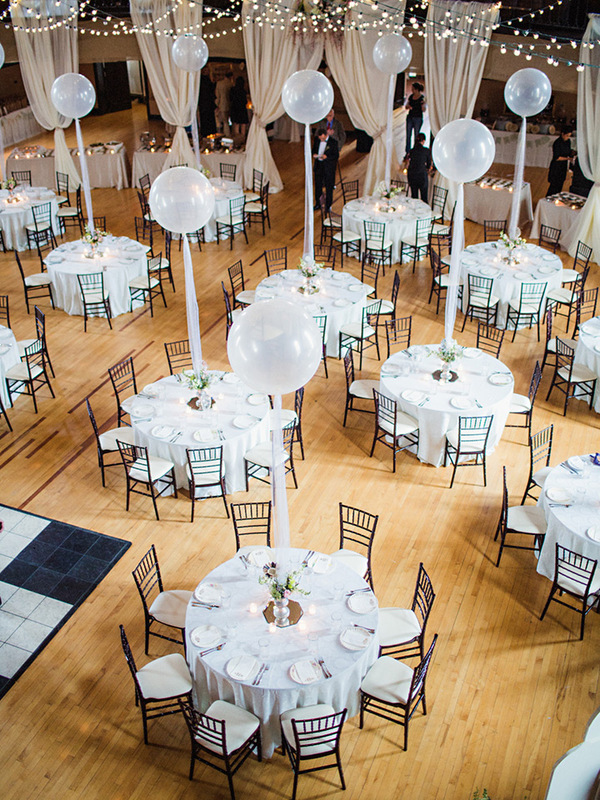 Including balloons in your reception centerpieces will add lots of height and visual interest to your venue without breaking the bank. 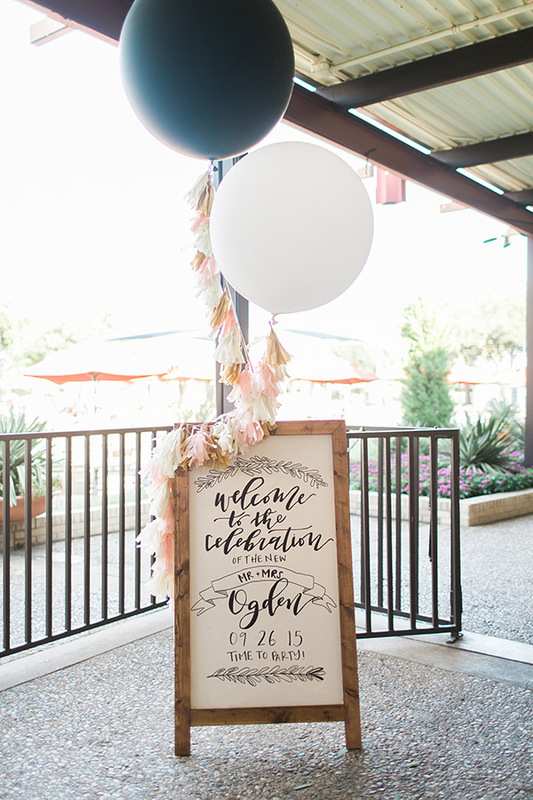 Balloon decorating ideas for weddings have come a long way since the past, with creative ways to display them at the wedding ceremony and reception. 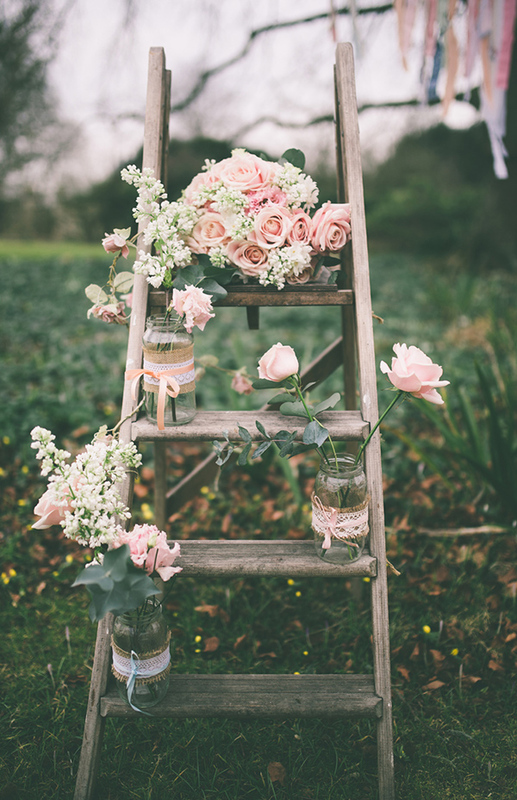 We recommend using balloons together with flowers and greenery so that you won’t need that many flowers and this plan will save your budget. 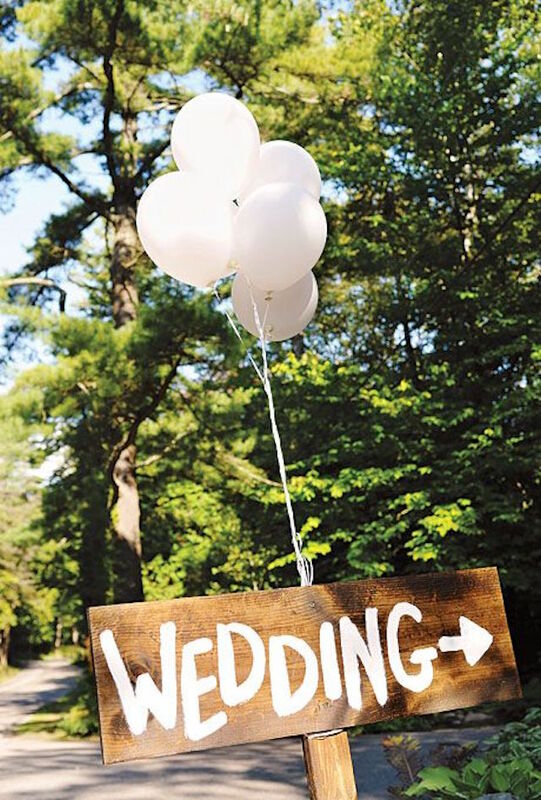 Add a balloon to your wedding sign to make it stand out and ensure your guests notice it. 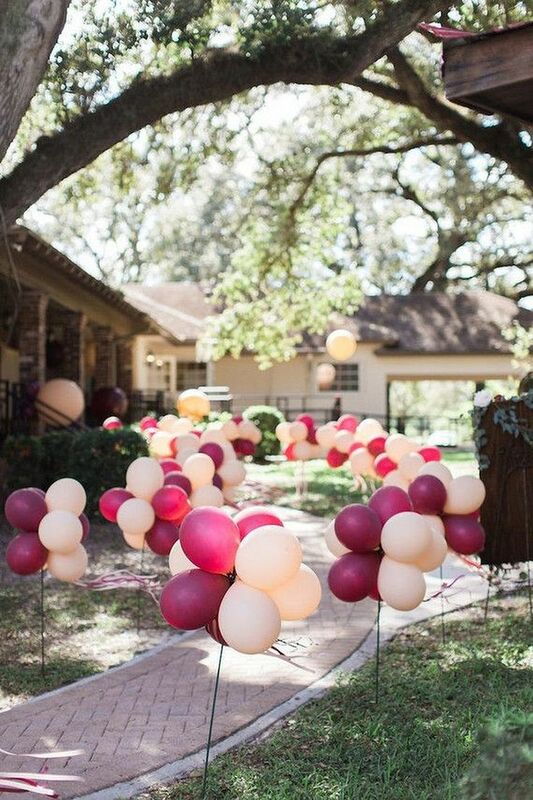 Just imagine walking down an aisle lined with giant balloons or looking out at your guests to see balloons tied to each and every chair – pretty memorable, right? 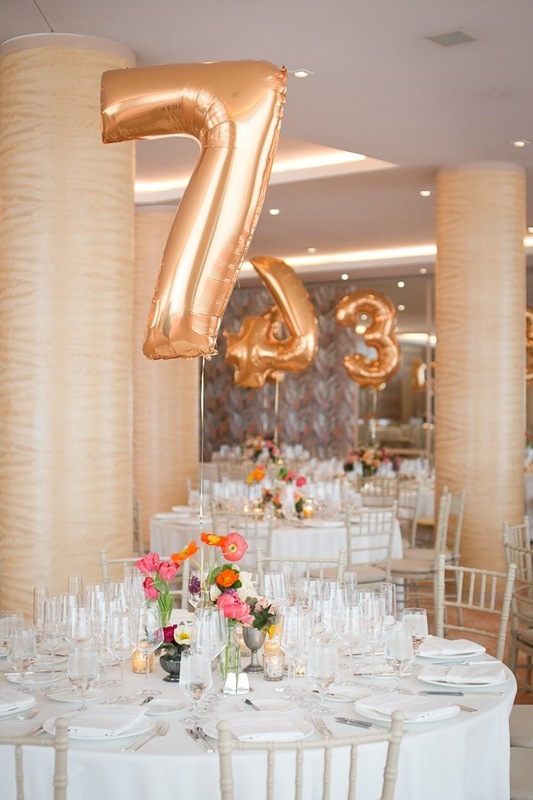 Giant numbered balloons are sure to make an impact when guests walk into the reception to find their table. 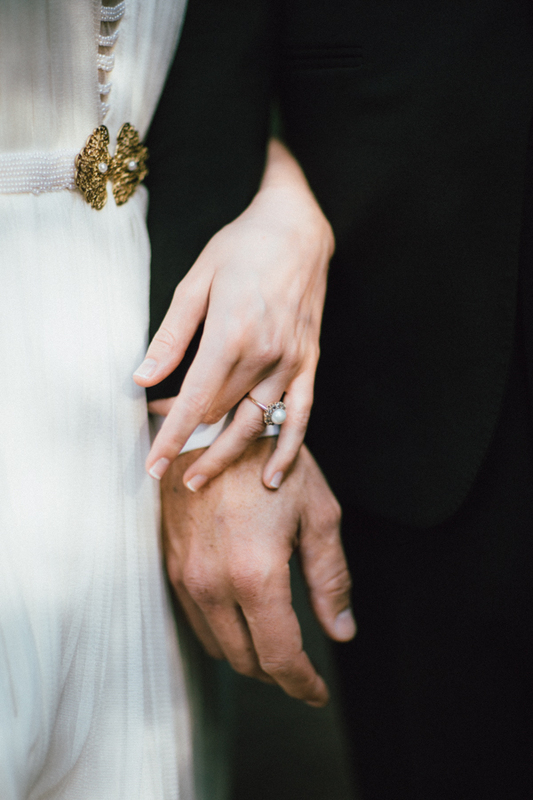 Your reception is sure to look beautiful and fun with this easy DIY. 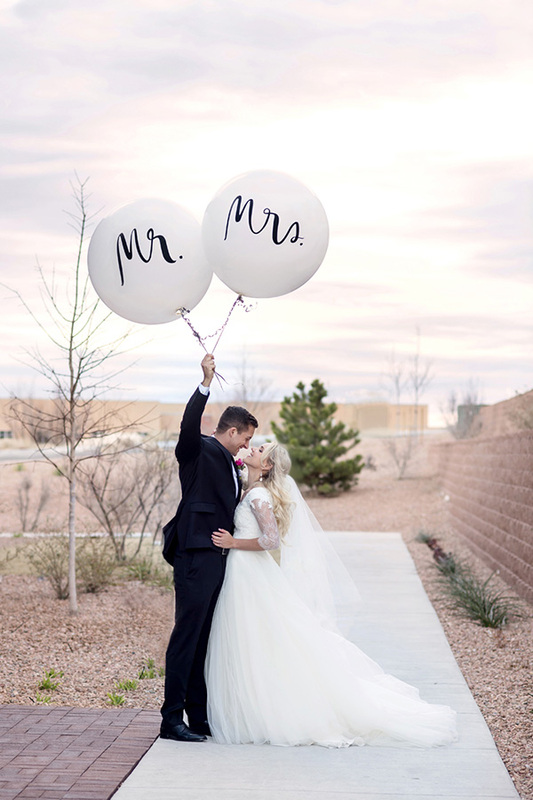 Balloons are a perfect accessory for wedding photos and we are sure that your photos will be gorgeous! 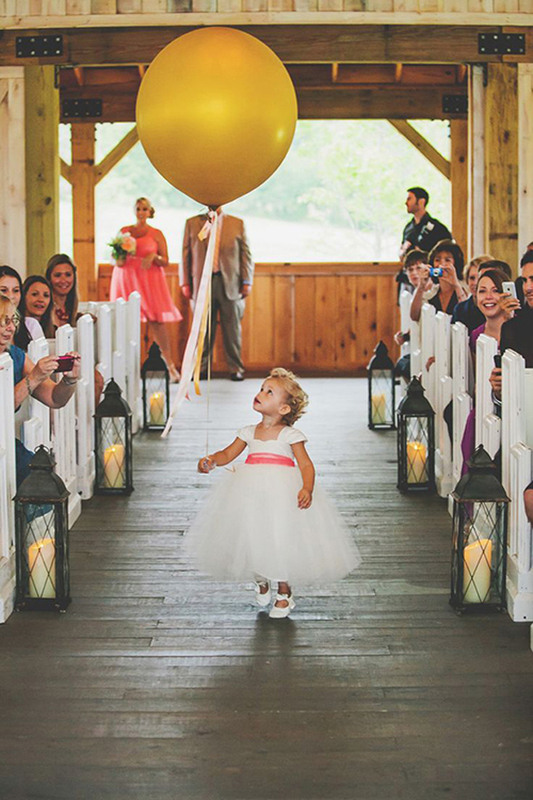 It wouldn’t get much cuter than your flower girl and/or ring bearer carrying a single balloon down the aisle. 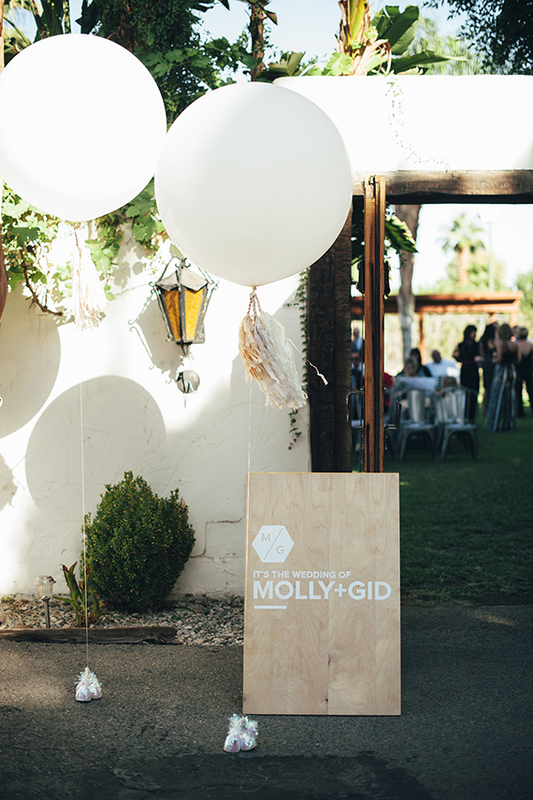 A wedding balloon is a great alternative to a bouquet, as kids might turn their nose up at a bunch of flowers, but definitely not at a massive balloon. 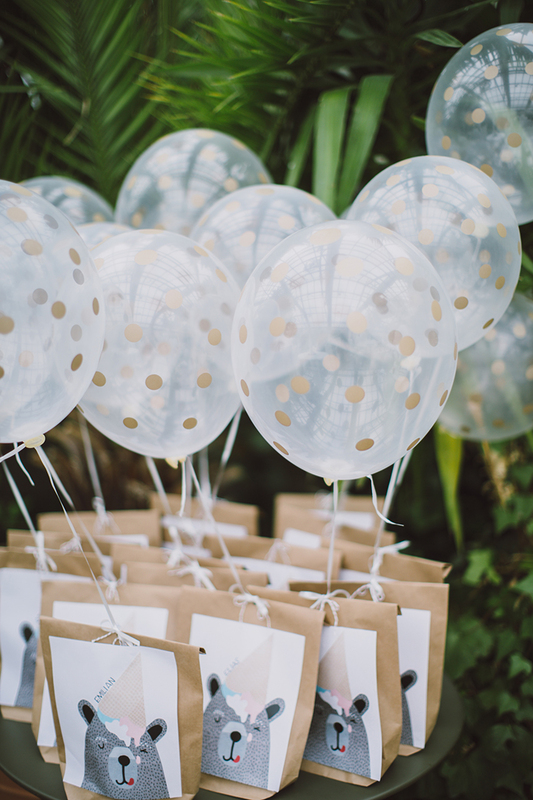 Kids love balloons, so why not tie a cute balloon to their wedding favors? 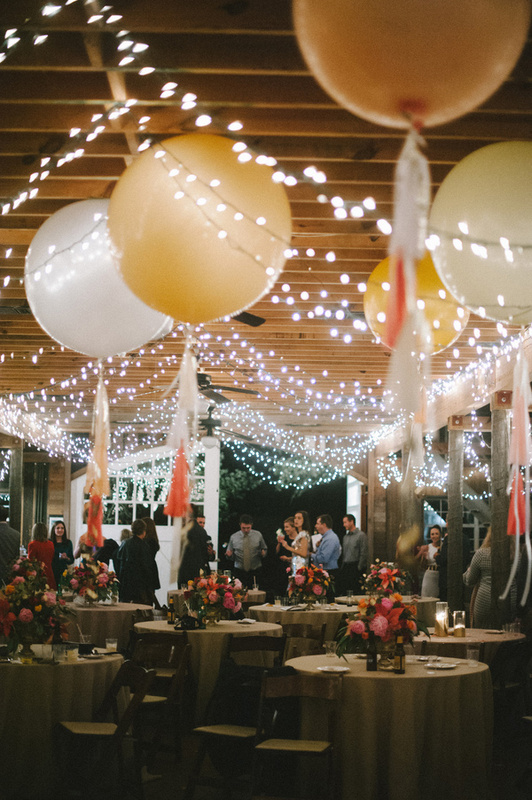 Wish lanterns, sparkler exits, and firework displays have become popular ways to end your reception, but we love the idea of releasing lots of colorful balloons to celebrate the end of your big day. 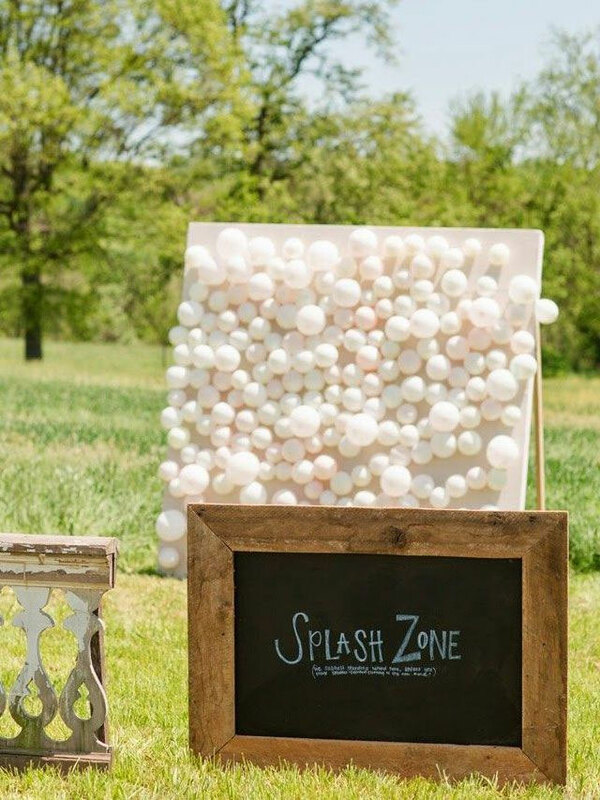 This entry was posted in 2017 wedding trends, 2018 wedding trends, diy wedding ideas, wedding decoration and tagged ballons wedding ideas, diy wedding ideas, wedding trends 2017. Bookmark the permalink.